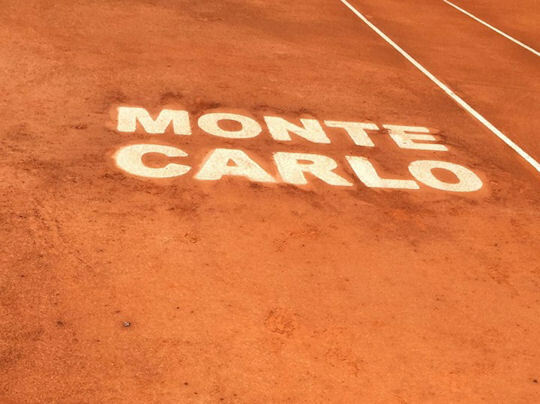 The Monte Carlo Rolex Masters is about to start and we have a number of members already on-site. Several of them attended the Marin & Friends exhibition on Saturday to watch Rafa, and shared their experiences with us. "Wandered in to the court to see the start of the Marin and Friends exho just in case they wheeled out everyone at the start. The proposed schedule had Rafa playing Dimitrov at 3:40 but we decided we'd watch the whole thing. Thank God we did, since a glance over to the side at about 3pm revealed this glorious sight." 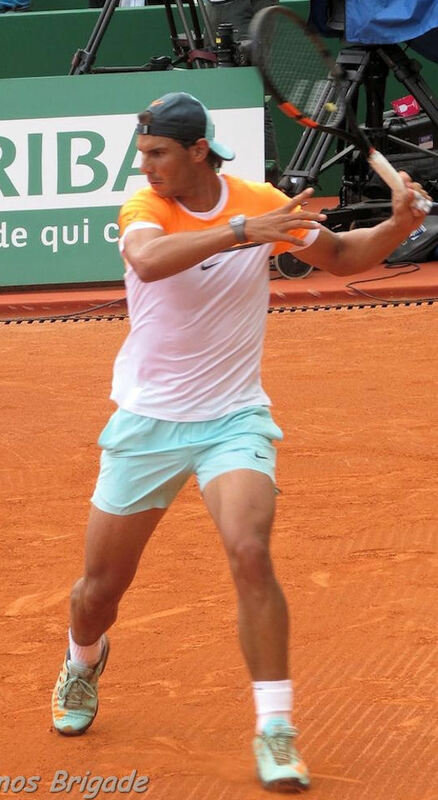 "So for the next 40 minutes we got to revel in watching Rafa on a clay court in a stress-free situation. . . . He was relaxed and enjoyed himself without feeling the need to showboat." 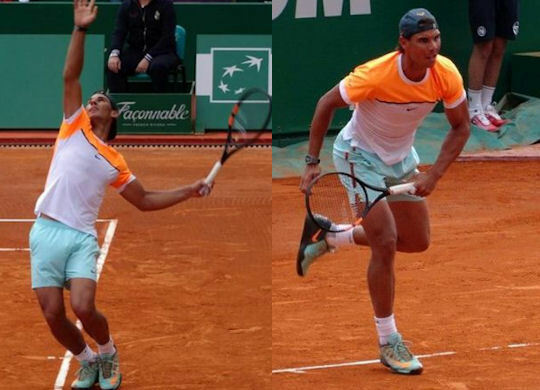 "I followed the exhibition today Rafa vs Cilic. 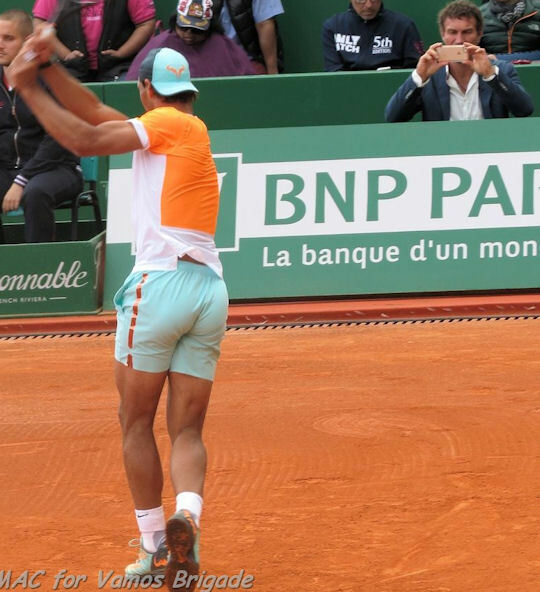 It was so good to see Rafa on clay!" jen captured part of a game from Rafa's "first-to-four-games match" against Cilic. ". . . wasn't the only one taking pics. 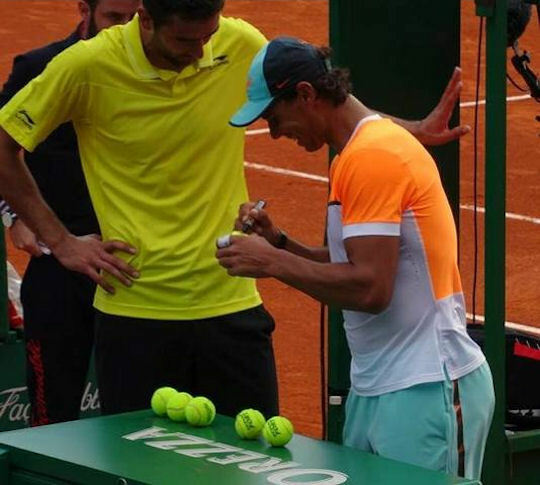 It wasn't until I looked at them this evening that I realised I'd caught Pat Cash doing the same across the court." Now, on to the tournament!